Ashley Totin, a project engineer at America Makes, has been named Young Professional Engineer of the Year. America Makes says that Ashley Totin, a project engineer at the 3D printing organization, has been named Young Professional Engineer of the Year 2019 in the Mahoning Valley, Ohio, area. The Young Professional Engineer of the Year Award was broken down into four unique judging criteria, in which TBEIC and VAST believe the finest engineers in the world embody. Totin manages technical programs as the regional point of contact, supports America Makes Workforce and Education development, and contributes to the innovation facility and regionalization efforts. 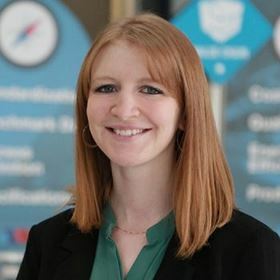 She previously served as an engineering project manager for the Youngstown Business Incubator’s (YBI) Advanced Manufacturing Team and as the director of the Additive Manufacturing (AM) Commercialization Program. At Youngstown State University (YSU), her research covered the best use of advanced digital manufacturing, especially AM, to support the maintenance and sustainment of legacy aircraft in the Air Force inventory. Michael Brady, a materials scientist at the Department of Energy’s Oak Ridge National Laboratory (ORNL), has been elected a Fellow of ASM International. Chem-Trend has received three safety awards from the US-based National Safety Council (NSC).